Apart from kicking off with John Peel, here – in no particular order – is other stuff 41 Rooms likes. Other bits (hopefully of interest) will be constantly added and slotted in under JP. The above picked up in a Wexford charity shop for €1 in early 2017. Not sure why I didn’t get it years ago. Their About Us page nails it. ‘A Non-Profit Online-Archive & Information-Database for Audio-Tape-Culture (Cassettes/Tapes/Reels) and 20th Century Art- & Music-related Small-Press Publications / Magazine-Culture. This Archive-Database focuses on (amongst a wealth of other stuff) the following styles/genres: Mid 70’s to late 90’s Industrial / Experimental / Free Improvisation / Post- Punk / New Wave, Minimal / Synth /Ambient and further musical directions of the DIY-Cassette-Culture’. This wonderful site should be no secret to regular 41 Rooms visitors but somehow I’ve missed previously profiling it here. Now corrected. Possibly the most trusted and pleasing-on -the-eye platform geared towards ‘self releasing’ artists, it seems to be where, crucially, they manage to hold on to a bigger % of that $£€$£€ they’re trying to make. It’s not going to happen but if you were to be granted another life you might have time to get through the 262 episodes of this brilliant archive of all things, errr… ‘cut and paste’, found sound etc. It’s mash up type construction with some blinding sonic treats along the way. Dip in at your leisure and praise the efforts of those who without doubt have realised their concoctions will have a very limited audience. Lots of interesting stuff here, so a few words from the author… ‘Reviews of tasty and obscure hook-filled rock’n’ roll releases (Glam, Heavy Bonehead Crunchers, Powerpop, Pop/psych,Garage, Surf, 60s Girl Group Rock)…Plus any quirky musings that tickle my fancy… I created this blog in order to stimulate interest, share discoveries and encourage people to go out and search for the original vinyl. Hopefully this blog might also encourage labels to actually compile some of this stuff officially‘. I’m with her on vinyl, affordable fountain pens and other vids but even though she loses me on the hidden beauty and obscure history of electronics and mechanical engineering stuff and I’m not just yet needing to build my own friction welder, ALL of Fran Blanche’s Franlab is a fun world. It’s a lengthy read, but if you’re of a certain age and/or you’re wired a certain way you’ll have stacked these buggers up at one time or another. Post-Punk 101: What Is Post Punk? They do courses on it! Alternatively, this article might do you. Yet another site to go lose yourself in and never come out of. Maybe more for the dance/beats heads. ‘A world traveling series of music workshops and festivals: a platform for those who make a difference in today’s musical landscape‘ is what the RBMA is about but the Lectures area is where I’ve spent a good few hours. That title is slightly misleading – it’s generally a Q&A with an artist through their career – but either way, the setting is relaxed and the journey worth it. If someone’s made an impact in the wide area of beats – house, techno, etc etc etc – then the RBMA will likely have caught up with them somewhere along the way. My faves to date? Stephen ‘Mal’ Mallinder and Larry Heard. Go searching. Along with Manchester and Liverpool, Sheffield in the late seventies and early eighties spewed out its fair share of sonic intrigue for the post punk generation. With his time as drummer with Clock DVA and the occasional jaunt down to London included, here’s Roger Quail’s journeying back with a vignette of the Steel City in early 1980.Wonderfully told and with the accompanying visuals no bit part, his involvement with music – label managing at Dublin-based label, Rubyworks – has continued to the present day. Homing in on the earliest days of vinyl bootlegs, this is likely one for those who were teenagers and older in the seventies. Box and linage ads in the back pages of the NME and Melody Maker early in the decade started to mention ‘live albums’ and though I can’t remember whether I ever took a punt on any of them through this route I’m fairly sure the first place I found bootlegs ‘in person’ was at a small record shop in Marlborough Court, just off Carnaby Street in London, ’74-’75ish… and when I can find their business card I still have somewhere it’ll go… just about… here. Been the ‘go to’ for JD fans for years, and is constantly being updated. For Factory Record’s completists, John Cooper’s site might be all you’ll ever need. The Electricity Club interviews James Nice, music publisher, LTM label owner, author of ‘Shadowplayers: The Rise and Fall of Factory Records’ and in having worked for the prestigious Belgian label, Les Disques du Crépuscule in Brussels in the late eighties, the the man charged in more recent times with the reissue of material from both LDDC and its sister label, Factory Benelux. Original vinyl pressings vs. reissues through the decades. One man’s example of how to properly do that there blogging lark. Class. 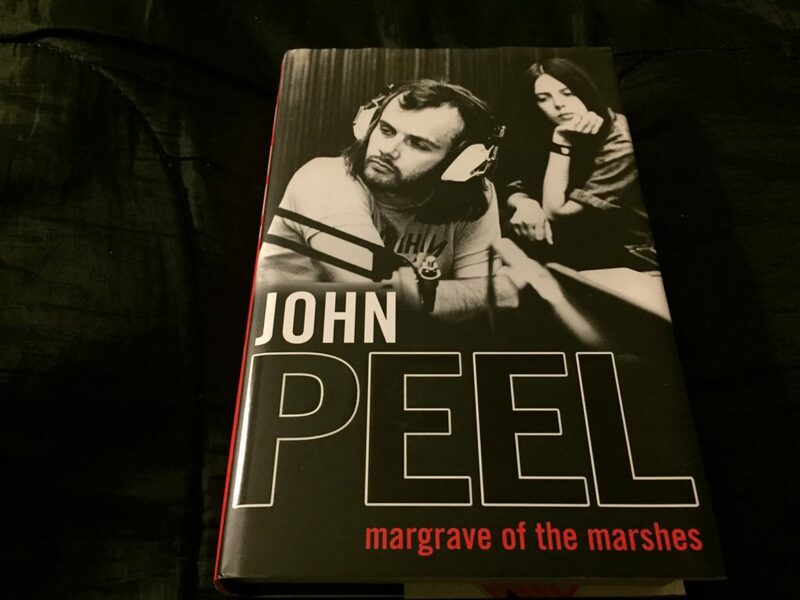 How witnessing John Peel’s record collection first hand can go down. Cheers for the heads up, Mark Russell. It’s in the title, so what’s not to like? Depending on your own tastes, the ‘Genre’ categorization is fairly basic and can have you a bit confused at times, and by the very nature of it being free, all sorts of stuff that years ago would never have been allowed anywhere near a record label (other than the artists own) now has a platform and that means you’ll maybe have to wade through a lot to find something that grabs you… but again, it’s free! Worth it for the second half in particular. But a cool choice for an album. Let’s face it, when a kid gets to a certain age, if you’re earning their respect, they’ll pick up on your better choices in this ‘department’. I did, though, bring my girl, Alice along to a Cocteau Twins gig at London’s Brixton Academy when she was just four. Knowing Liz, Robin and Simon, we went along early and Alice and I sat there on our own in the front row for the soundcheck. When it got to Liz test running THAT voice, Alice turned to me and very seriously said ‘She’s nearly as good as Ariel (from The Little Mermaid)’. I burst out laughing, and with nothing else to look at in the venue, Liz must have been looking at us because she asked what we were laughing at. I told her, and given her and Robin’s daughter was roughly the same age as Alice, we all decided that being second to Ariel was AOK. I had to get special dispensation for Alice to be at the gig proper later on – we had to sit up in the upper tier, but the day must have been a bit too much for her… as she fell asleep half way through. Apart from this? She caught a New Order gig or two at a youngish age (ie., way younger than my first gigs), saw Jeff Buckley perform a couple of tunes at Rough Trade’s short lived London, Covent Garden store and appeared on a couple of Television Personalities 7″ sleeves… but she was still quite rightly loving her Spice Girls or whatever. Seeing as in Social Media World one day’s soundbite is the next day a good few feet nearer the ‘footer’, this astute appraisal of Spotify’s business model (from early 2015), is worth a repush. Unsurprisingly, Kent Walter and his dad aren’t the only company working along these lines but their passion and attention to the detail and quality is evident and the results look very cool, so I’m assuming the sound matches. I’ve got a couple of big trees around here that sadly need seeing to but I’d most probably end up with wood lice skating around my Joy Division Dead Souls 7″… not ideal. Neat 3 minute video on vinyl; from mate, Dave Black. Manchester music memorabilia by the truck load. If it’s happened sonically in Mancland it’s very possibly been noted here. Bill Brewster’s homage to and archive on the culture of club DeeeeJaaaaying. With 400,000 plus posts (and counting) it’s another site you could lose a not insignificant part of your life in. Just doing a search on the late James Hamilton (legendary DJ and later Music Week dance reviewer) – who’s wonderfully idiosyncratic reviews may occasionally pop up/be quoted on related tracks here but who a huge amount of people will never have heard of – pulled up over thirty related threads. I contributed a piece years ago which I might try and find at some point to put on here. The passion for collecting vinyl beautifully articulated by the famous and not so famous and documented accordingly. Fab stuff. If you’re new to record collecting or again, just a very young music enthusiast, this is must for checking if a tune exists in the physical format world, and if so, who might be selling a copy. It isn’t quite the completist’s bible but it’s as near as dammit and is constantly being updated and added to by us all. When I last looked – 12,971,934 physical (records/CDs etc) items for sale. So, you might find something. Some of these peeps might need counselling. The hip hop/soul/funk/Latin brigade in full effect, or sometimes… affect. Parental Warning – A ‘Trans-Atlantic drawl’ might well crop up. Tim Westwood’s own unique vocal ‘mannerisms’ though, seem to have eased up a bit in more recent years. No seriously, they have! You should have heard him back in the late 80s/early 90s. Anyway, he and the other DJs here recounting their vinyl fixes have been there and goddamdunnit… by the truck load. From Mr Bongos’ tales at the sharp end of crate digging to punk overlord, Jello Biafra shouting among the baseball caps, with his own personal take on the fetish for vinyl. It’s likely in their DNA. 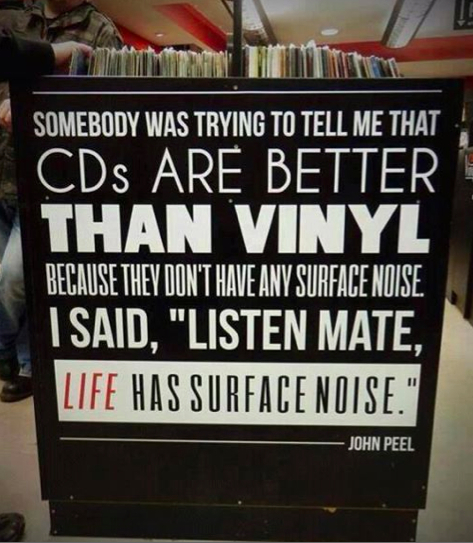 Listening to John Peel in the late 70s/early 80s from my base in Bedford (fifty miles north of London) I couldn’t always locally order some of the records I was after, so the occasional trip was needed to London’s Rough Trade, just off Portobello Road, in Ladbroke Grove. Still there and thriving, they along with their newish sister store in New York’s Brooklyn stocked From Heaven to Heaven, so a big shout out to Nigel House (in the Ladbroke Grove shop way back then… and still there now! ), Sean and the crew, and check out the wallpaper when you go in. If the shop’s ever up for demolition (hopefully not) a wall or two maybe should go to the V&A. I’ve been to two of their three Californian stores and the sheer size – of the LA store in particular – is just bonkers. New and old, cheap as chips through to the very rare, if you don’t come out with a purchase of some sort you’ve also probably lost the will to live. Having also stocked From Heaven to Heaven, it might be the last place to buy a new copy, so ‘hi’ to the store’s book buyer, Cure and New Order fan, Kelly Watson. This site trawls and logs the sales of records over a certain price on eBay. Want the going rates on your Josef K 7″s for the last few years? They’ll be here.